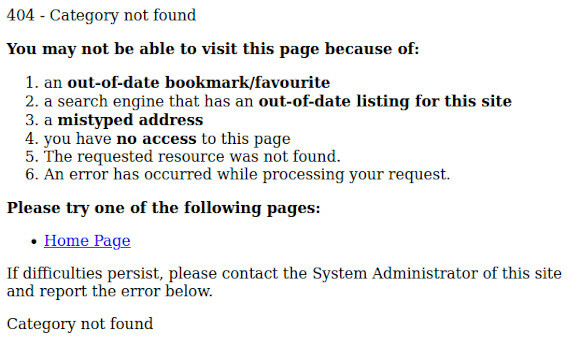 Typically, when someone tries to visit a broken link in a website, their web browser will present an Error 404 Page. Such screens can be very frustrating for humans and are definitely BAD for SEO. Here's what a typical Error 404 Page looks like in any olf website! We include a custom Error 404 Page in every WYNCHCO website design. And make it easy for you to change its appearance via the Article Manager screen of your website's Control Panel.